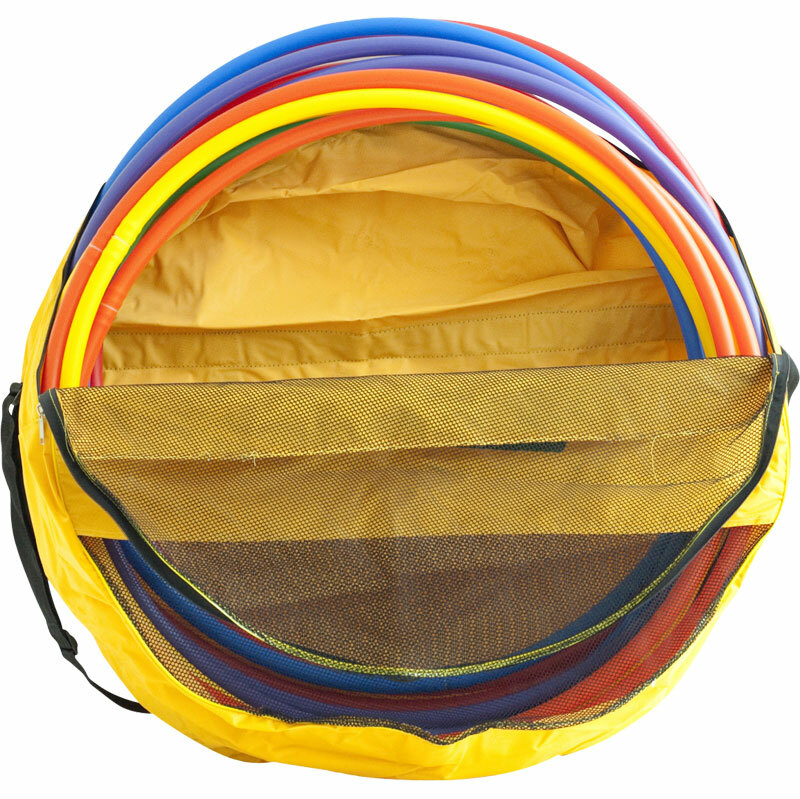 2 Maxi storage Grab N Go bags contain a total of 36 sturdy safe plastic hoops in a range of colours that can provide a larger group with hoops to play with in many different ways. Use them for training within your sports clubs, as targets for fun games, to help with team activities, skipping with them or just for hoola-ing, the bag keeps them safe and easy to store. Hoola-ing can support coordination skills. 76cm Hoops Pack of 36. Bag for Hoops x 2.